In 2014 we brought back another piece of history – the Waveney Inn Hotel. Inspired by our pub’s past as an oasis for weary travellers. 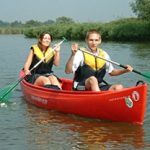 The Waveney Inn has 7 luxurious hotel rooms – most with fantastic views across the marshes and river. All rooms have different nautical themes, and our two ground floor ‘cabins’ have huge wet rooms, making them ideal for the less able. Each has a huge bed, a spacious shower room, 40” smart TV and complimentary toiletries as standard. Book your hotel room directly through us and get breakfast included! Our rates are per room and include use of our indoor heated pool, pedestrian ferry to Carlton Marshes and WiFi.